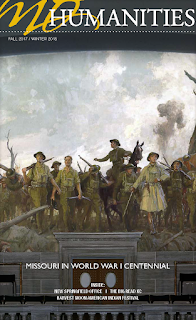 The Fall 2017 / Winter 2018 issue of MO Humanities, the official magazine of the Missouri Humanities Council (MHC), is arriving in mailboxes now! 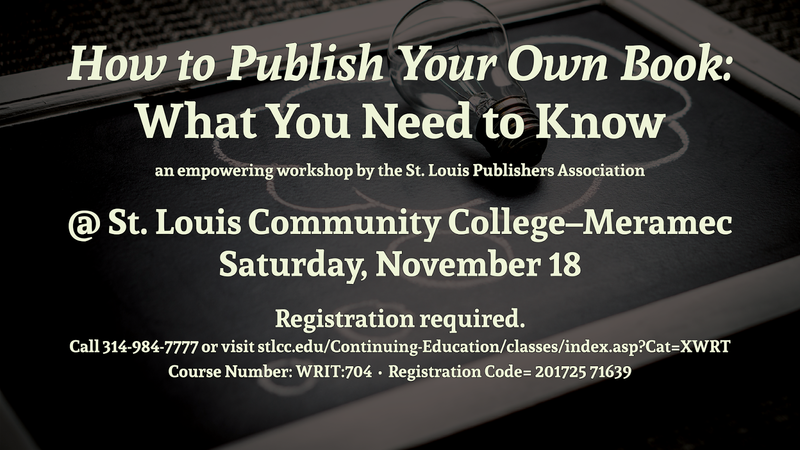 In this workshop, get a great start to seeing your name in a magazine or literary journal. 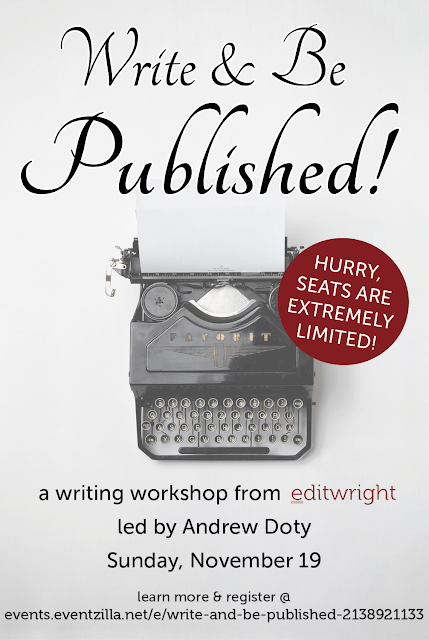 Receive a custom writing prompt from editor Andrew Doty and a nice, relaxing environment to write in. Doty will remain available for questions and suggestions. Learn more and register at events.eventzilla.net/e/write-and-be-published-2138921133. Hurry, time is running out and only a few seats are left! 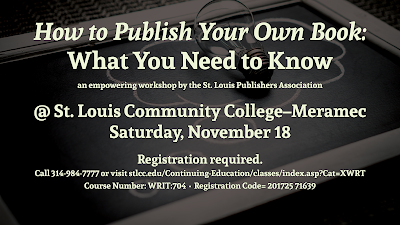 Learn everything you need to know to publish your own book: The St. Louis Publishers Association, in partnership with St. Louis Community College–Meramec’s Continuing Education Program, presents “How to Publish Your Own Book: What You Need to Know,” a 4-hour workshop dedicated to teaching you how to lead your own way in the world of publishing.